If you plan to attract and feed doves at your home or backyard, it is a simple and easy activity. Doves stay in one place all-year round and can be seen at any time of day looking for food and around feeding stations. 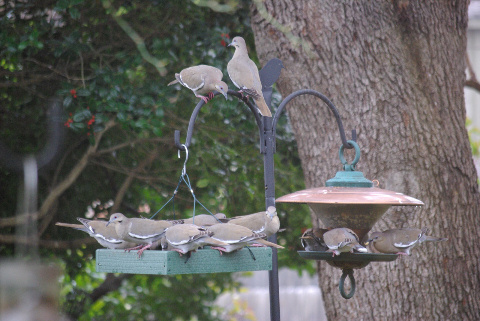 If you install a special dove feeder these birds will come in small flocks and will happily eat at the seed provided. The doves are larger birds than smaller song birds, and can be only feed at special platform feeders. Dove are natural ground feeding birds, and you will see them always on the ground looking for food and stuff. Smaller bird feeders are not going to do for this bird, and if you want them to eat you must install a larger platform feeder. The bigger the better in this case, the more area you provide the more easy will doves land on the bird feeder. This dove Platform Feeder is designed to attract doves and other birds to an open area feeding spot. 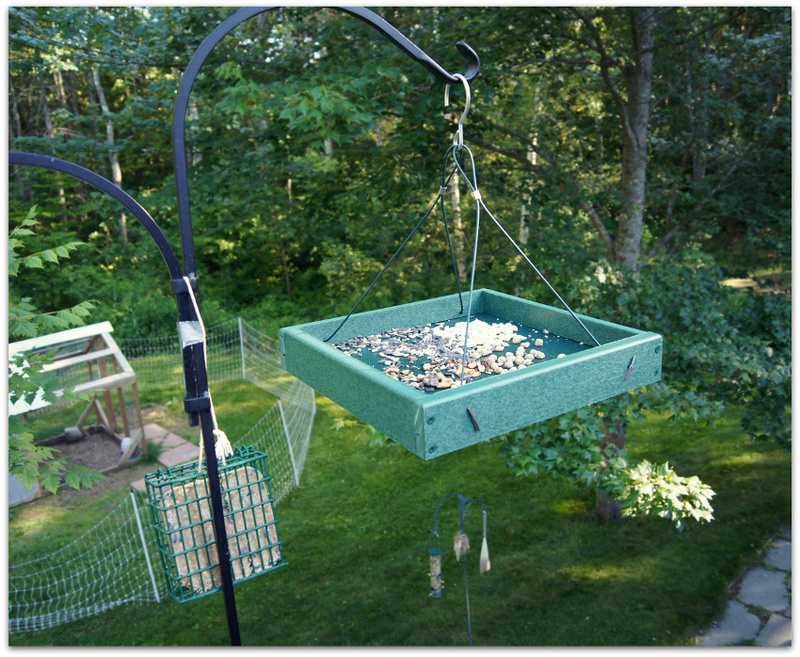 Dove feeder is made of 90% recycled material, and there is a drainage at the bottom that helps keep the seed dry. There are strong coated steel cables attached to Platform Feeder, and metal hook that can be hanged to a tree or some other spot. This dove feeder is made of plastic so it will not rot, and can be placed in al weather conditions. You can hang it on your patios or on a tree branch, it is easy and simple. Doves and other birds will come to feed on it, so don’t expect just doves, this is made to give better access to doves bit smaller birds will come to. The cleaning is easy, you just need to flip the feeder and tap the bottom with your hand a few times, and if some seed was there it will fall off. It can be washed in water and soap if desired, just make sure you rinse it of all the detergent. Feeding doves is a fun and will add lots of joy to your day. Doves will stay around longer than other birds, walking, flying on top and off the feeder. Even if some seed falls on the ground, doves as natural ground birds will quickly find it. I hope you will have lot of fun days watching these cute birds as they fly around your backyard. Check the price of Audubon Going Green Platform Feeder Model here.